Many people associate owls with wisdom, but they can be intriguing and mysterious too. 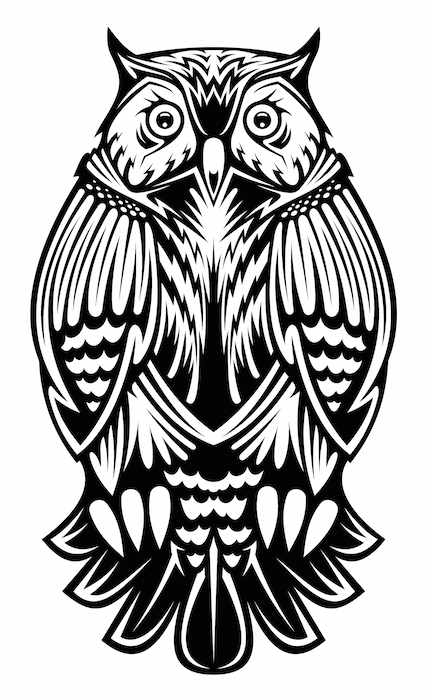 In fact, the ancients believed owls were overseers of spirits and protectors of the dead. It was thought that the owl guided the spirit of the dearly departed safely to the realm of the spirits. 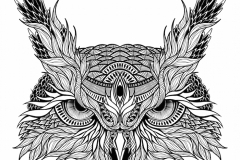 Those beliefs have led to the symbolism associated with owl tattoos. 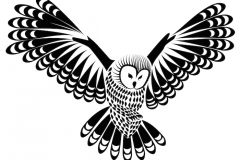 There are a wide variety of owl tattoos that include owls in trees, flying owls and perching owls. They may be portrayed realistically or be part of a larger design. 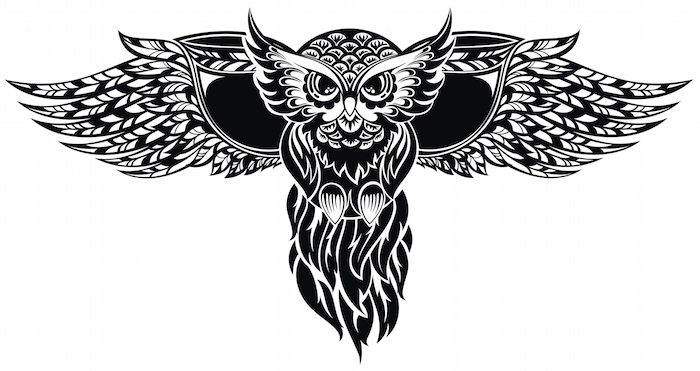 Some tattoo artists create elaborate abstract owl tattoos for men while others prefer to create cute owls for women and girls. 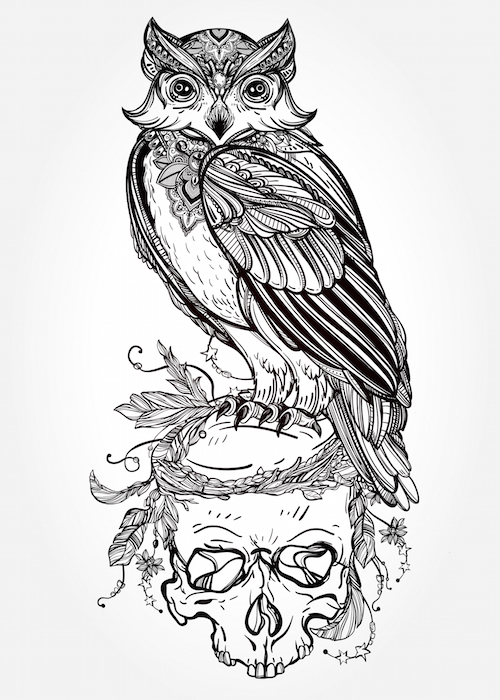 The type of owl tattoo design you choose depends on your personal sense of style and the message you want to send. 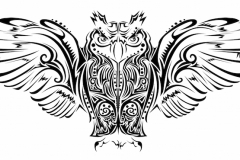 Owls tattoos can have personal meaning, but the also have some commonly accepted meanings. 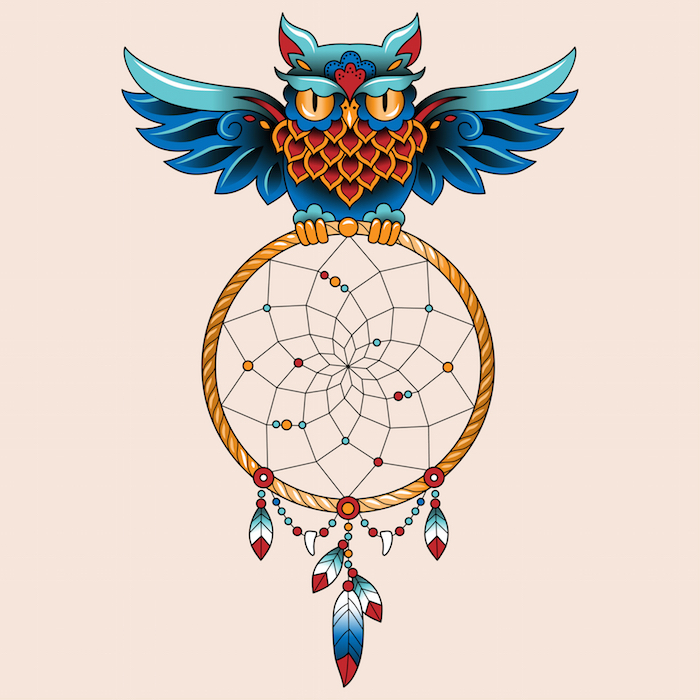 Tribal Owl Tattoos: According to Native American belief, the owl is viewed as a bad omen. 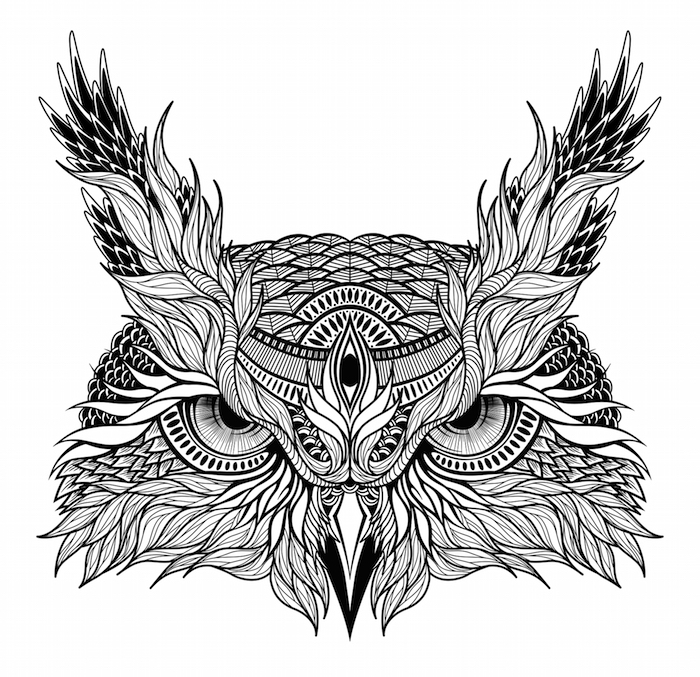 When used in a Tribal tattoo, the owl is closely related to death and troubles. They may also represent protection from evil. 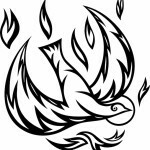 Celtic Owl Tattoos: According to Celtic belief the owl protected the spirits of the dead from the dark forces of the universe. 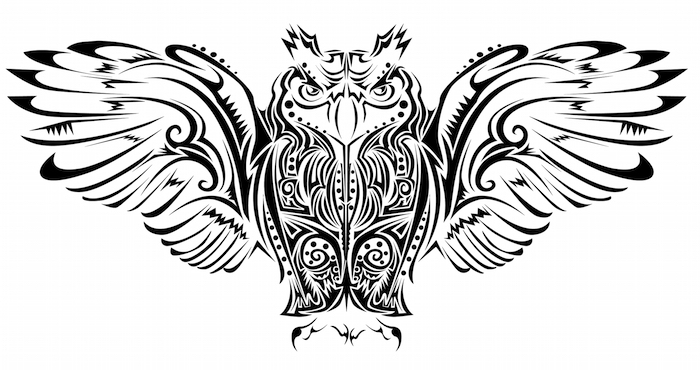 Owls in Celtic tattoos represent respect and fear for this majestic bird. 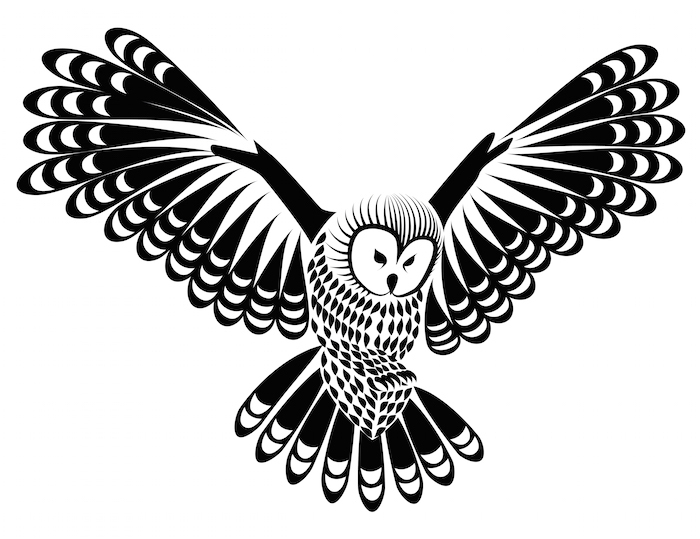 Ancient Greeks: The owl symbolized the goddess Athena, the goddess of foresight and knowledge, to the ancient Greeks. 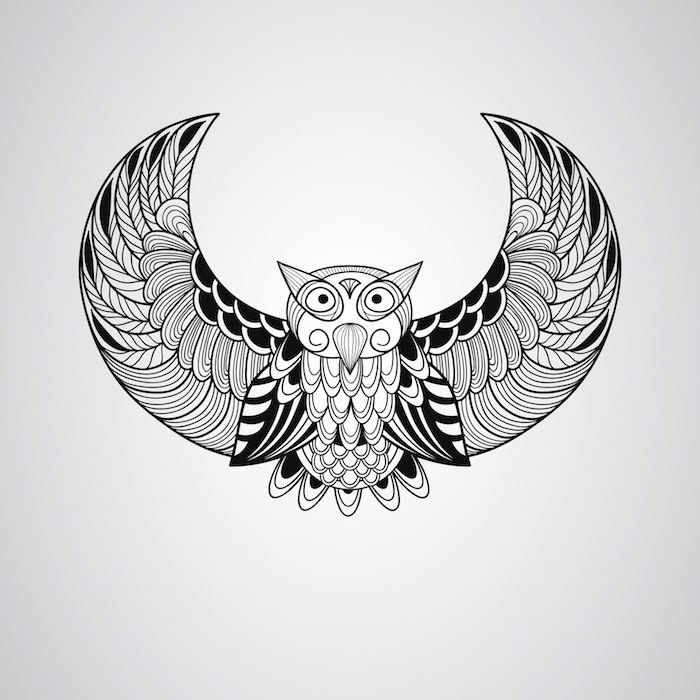 The symbol of an owl was thought to bring knowledge and insight into the ways of life. Owls with Keys: Some owl tattoos depict an owl with a key in it’s talons to represent the key to knowledge. 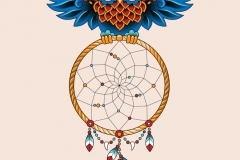 Japanese Owl Tattoos: These tattoos are typically brightly colored and feature intricate details. Other features may be included. Images of owls are often found in storybooks depicting learning, in books, in children’s stories, such as Owl in The Adventures of Winnie the Pooh, and in connection with magic, such as the Harry Potter Series. They are also common in artwork and on websites promoting New Age philosophies and spiritual growth. Because the owl is viewed as wise and full of knowledge it may also be found in academic works or on academic sites. An owl tattoo typically portrays wisdom, knowledge and a desire for spiritual growth. It may represent the spiritual world or magic. It is closely related to the night and is often depicted perched on a limb with a full moon in the background. 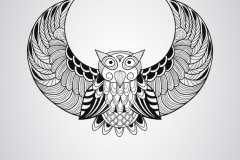 People who wear this symbol are often seeking spiritual growth or honoring the knowledge and wisdom of the Universe, but they may simply enjoy the natural beauty of owls. Some may choose the owl for protection and guidance. 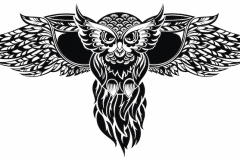 We love the variety of owl tattoos available as they range from cute and whimsical to detailed owls in flight. 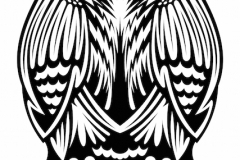 If you are looking for ideas for an owl tattoo consider old school owls to represent wisdom or go with more cartoony versions for a whimsical touch. 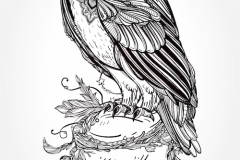 Owls in flight are best suited for the chest or back where there is more room for the intricate details. Get Inspired: Did You Know . . .
Owls eyes are fixed in the socket. To look in another direction the owl must turn the entire head. Most owls have round faces with large eyes. The barn owl has a heart-shaped face. An owl is nearly silent when it flies.